FANTASTIC OPPORTUNITY - BRING ALL OFFERS!!! TONS OF POTENTIAL IN THIS TWO-STORY HOME WITH 4 BEDROOM AND 4 BATHS IN FANTASTIC SCARSDALE ESTATES. BRIGHT AND OPEN FLOOR PLAN WITH TWO STORY DINING AREA AND WOOD BURNING FIREPLACE. SPECTACULAR KITCHEN WITH STAINLESS-STEEL APPLIANCES. HARDWOOD FLOORS THROUGHOUT. GRAND TWO-STORY ENTRY WITH MARBLE FLOORING, HUGE MASTER BEDROOM WITH VAULTED CEILING AND BATH WITH SEPARATE SHOWER AND SOAKER TUB. HOME SITS ON NEARLY A HALF-ACRE WITH PARK SIZE YARD, DECK AND TWO CAR ATTACHED GARAGE. I was searching for a Property and found this listing (MLS #10169325). 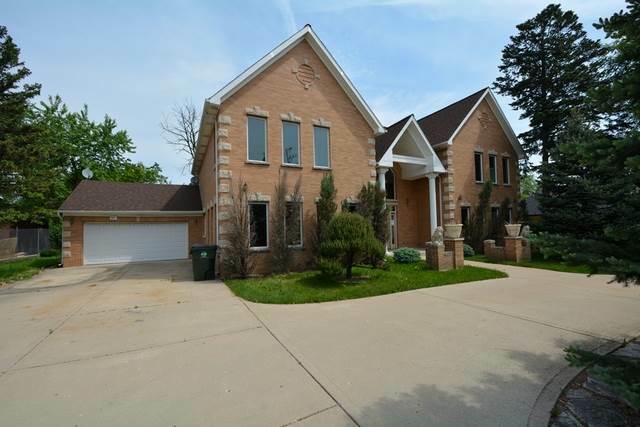 I would like to schedule a showing for 332 E Central Rd Arlington Heights, IL 60005. Thank you! I was searching for a Property and found this listing (MLS #10169325). Please send me more information regarding 332 E Central Rd Arlington Heights, IL 60005. Thank you!